It's no secret that I love shaker cards, they bring a big smile to my face and I hope to the recipient's too ! They also remind me of THAT Taylor Swift song, and of course everybody dances to that in this house !! I hope that was helpful and my Christmas card gives you some inspiration to create your own shaker. 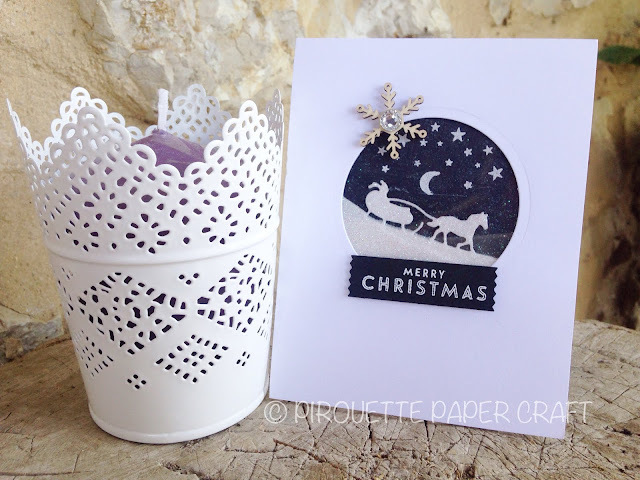 Another Christmas Shaker card !